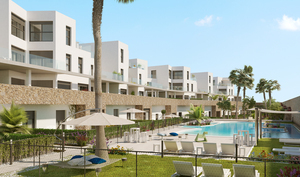 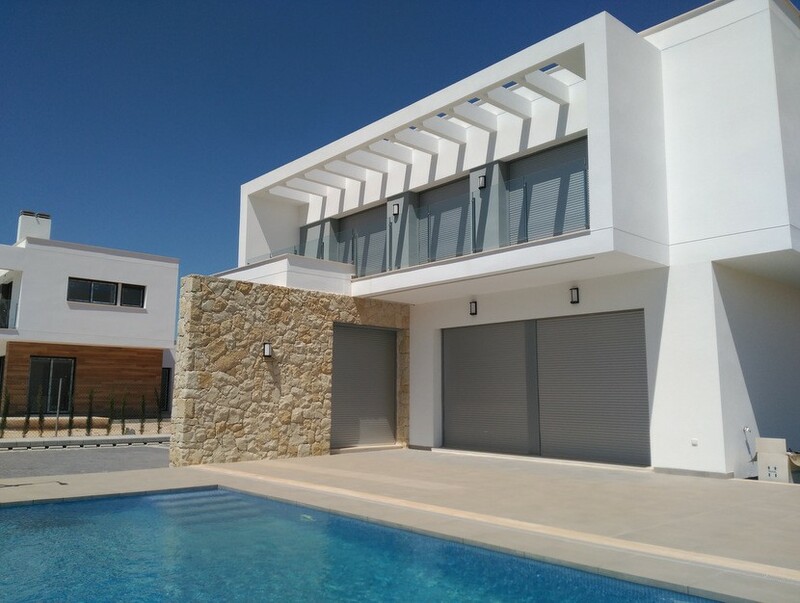 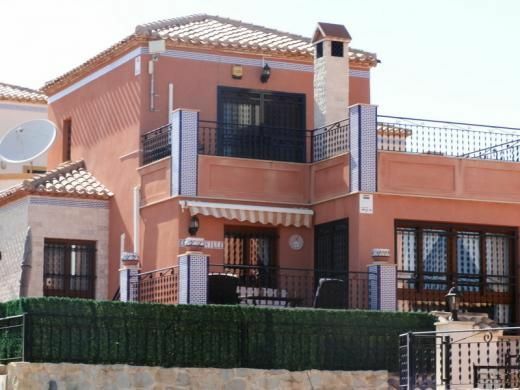 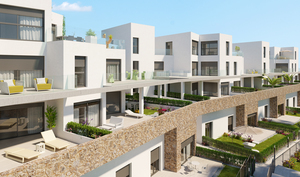 Lovely spacious and luxury development in Villamartin, Alicante within walking distance to the well known Villamartin Plaza offering a wide selection of bars, restaurants and supermarkets and golf course. 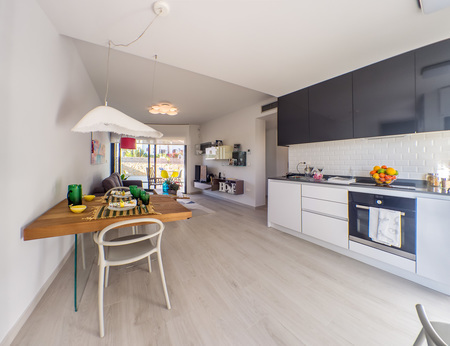 High specification includes for clients free white goods installation: installed washing machine, dishwasher, fridge-freezer, hob and oven. 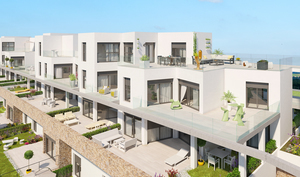 The prestigious developer also includes Ducted air-conditioning installation. 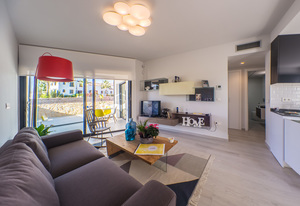 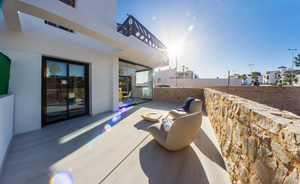 These apartments with a combined facade of natural stone, boasts three bedrooms with build in wardrobes with sliding doors, two bathrooms with under-floor heating, living/dining area, open plan kitchen, ducted air conditioning (hot/cold), double glazing and shutters in every room (electric shutters in the living room), balcony, alarm system, exterior lights on the terraces, hot water system powered by aerothermica with a deposit and electrical boiler, garage and storage room included in the price as well. 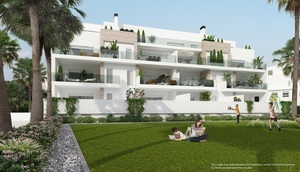 Brand new project, Phase 1 now released with 13 luxury apartments (two or three bedrooms) in the popular area of La Fuente between La Zenia and Campoamor, very close to 4 championship golf courses, the La Fuente Commercial Centre with its great selection of shops, bars and restaurants and only 5 minutes from the fabulous beaches of the Orihuela Costa. 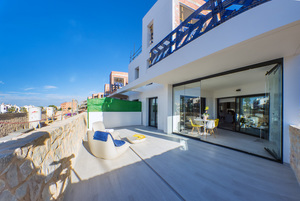 There are ground floor properties with extended terraces, first floor properties with large balconies and both duplex and single level penthouse apartments with huge terrace areas available. 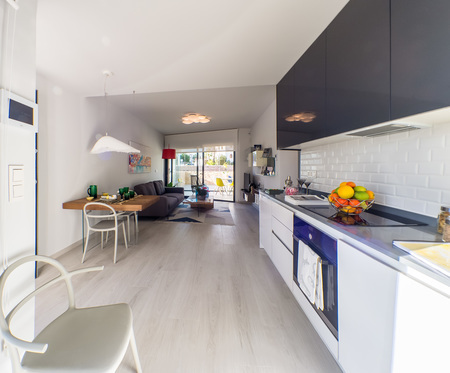 All properties are southwest facing, have a modern, contemporary design and are finished to a high standard. There will be a large communal swimming pool with landscaped gardens and relaxation zones. Optional parking space and storage room. 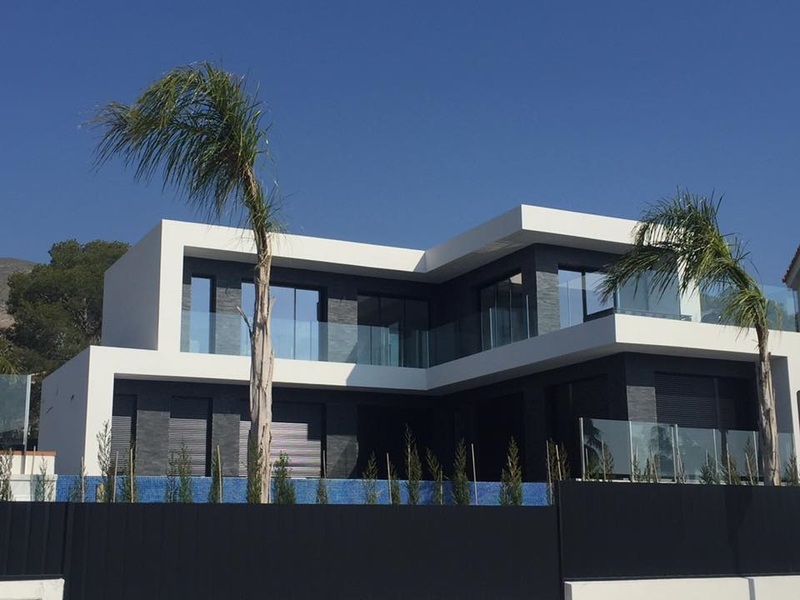 First phase completion for late Spring 2018. 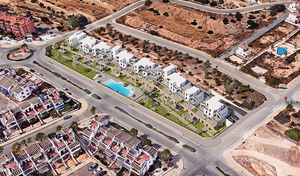 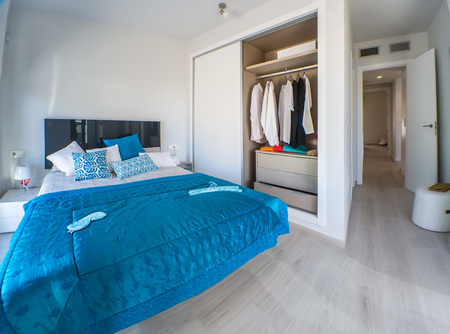 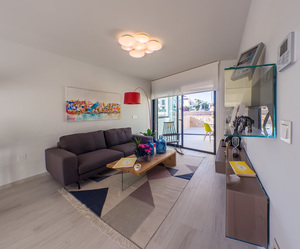 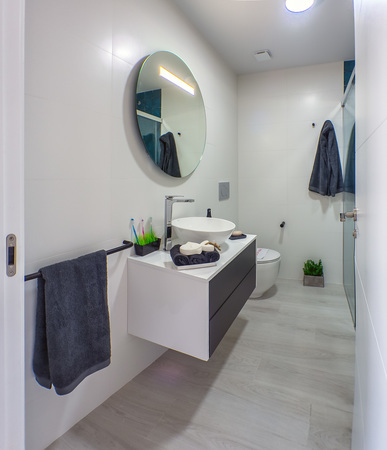 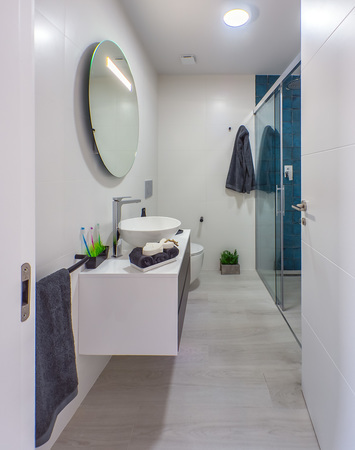 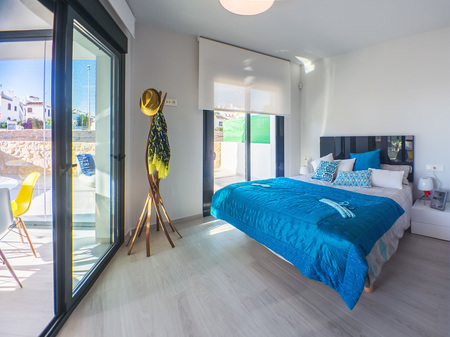 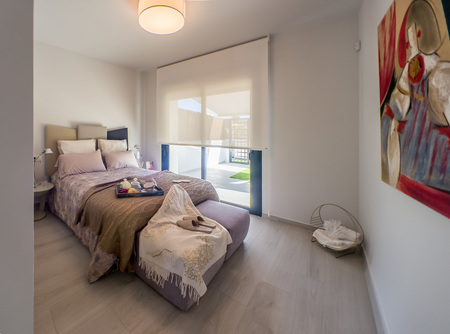 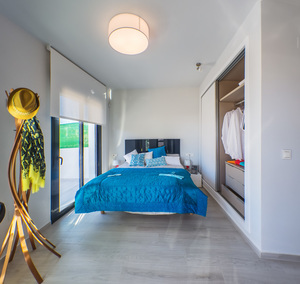 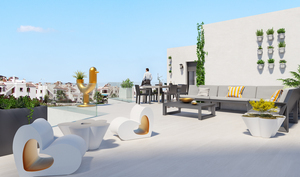 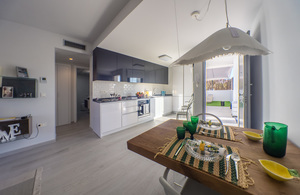 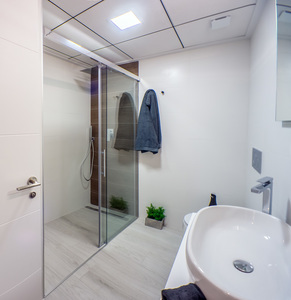 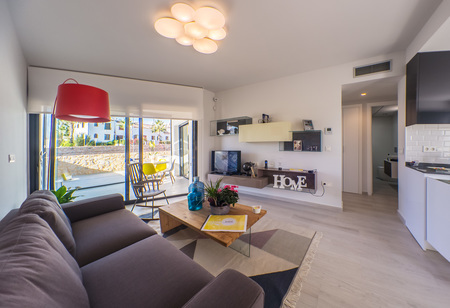 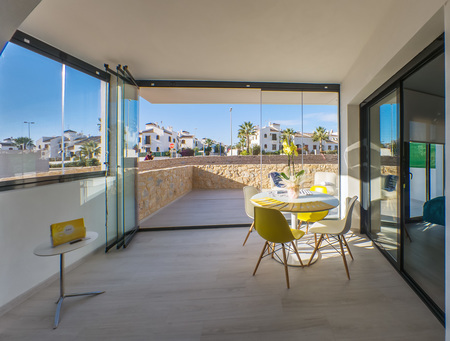 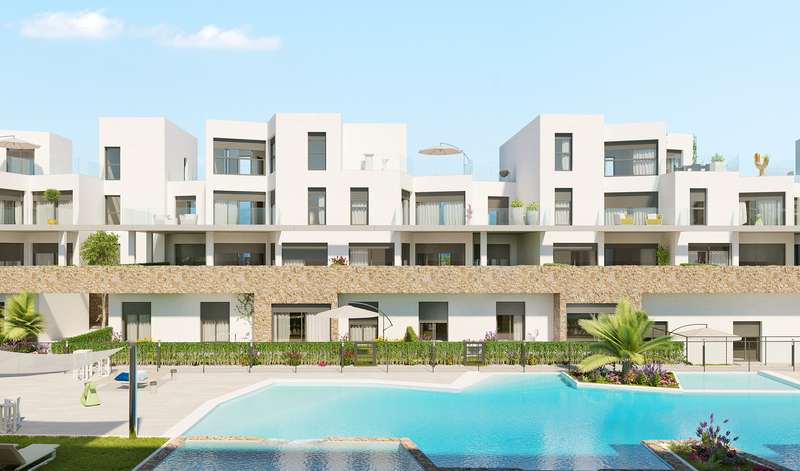 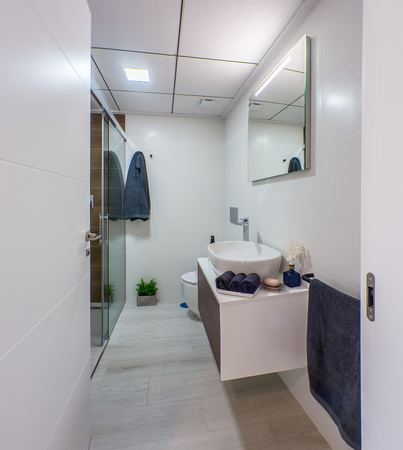 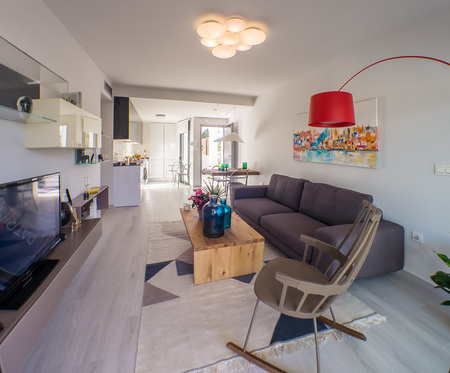 Luxury and brand new development in Villamartin, Alicante with only 16 apartments (ground-, first floor and penthouses) with two or three bedrooms and first class materials. The property boasts two (or three) bedrooms, two bathrooms with underfloor heating, living/dining room, open plan kitchen with utility room, and ducted air conditioning throughout the property is included in the price. Penthouses coming with private jacuzzi, exterior shower, TV connection, exterior kitchen with BBQ and sink. 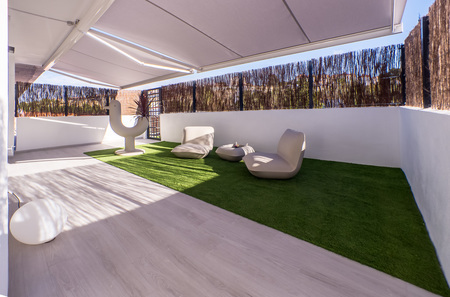 The solarium is covered with artificial grass in combination with imitating floor tiles. 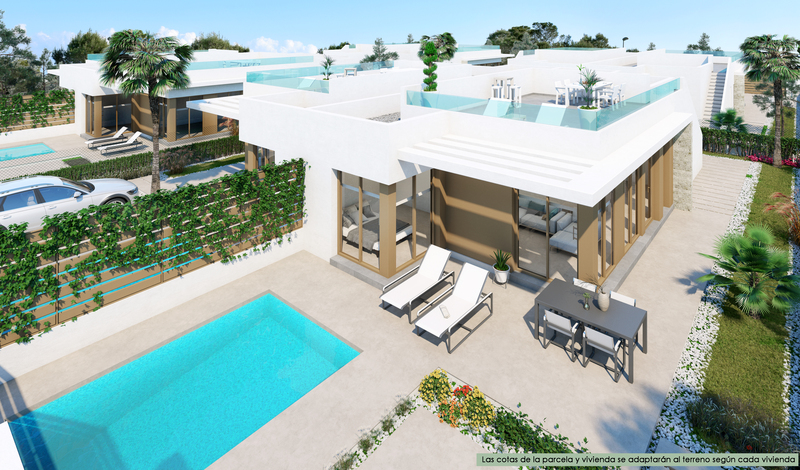 Lovely communal green area with communal swimming pool and jacuzzi area. 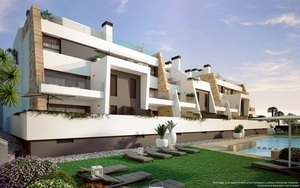 Underground parking space and storage room is optional for an additional 5.000€!